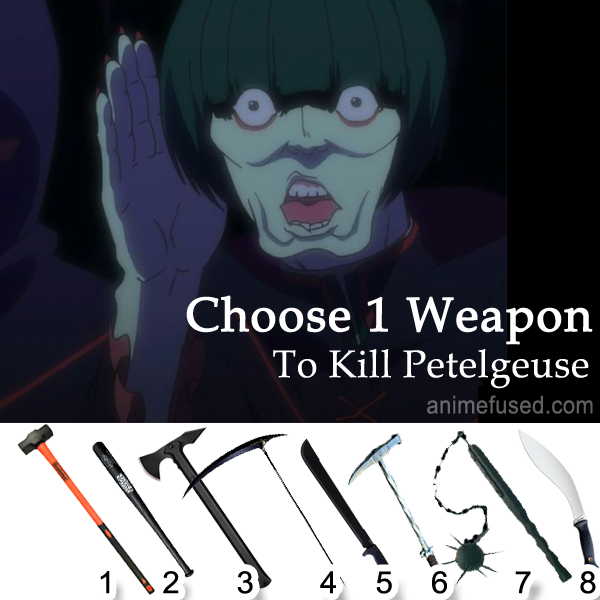 Just Choose 1 Weapon To Kill Petelgeuse. 3 Looks heavy but its powerful enough to chop him into pieces! I think flail will be enough to demonstrate my anger to him.